Lets face it, nobody wants to throw a boring party right? Well that’s obvious, but sometimes event organizers can get so snowed under with all the little things that need to be organised and take their eye off the ball about the most important aspect to just about any party, and that’s entertainment and making sure that people leave thinking “that was a fun event” but sadly some parties attendees leave less than impressed. 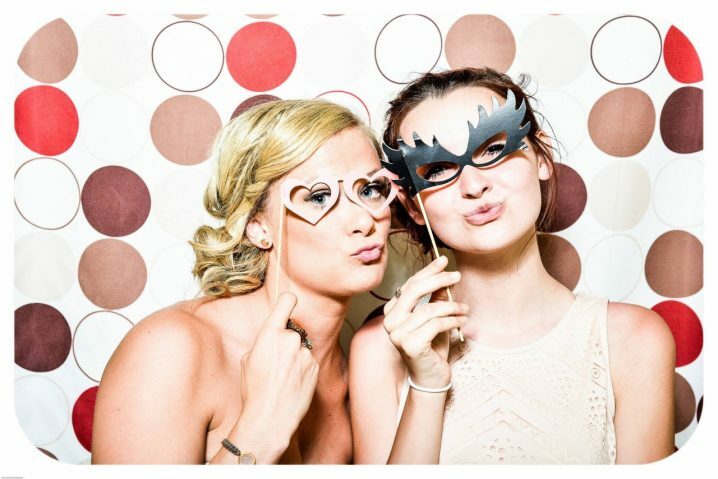 If you haven’t caught on to the popularity of photo booth hire lately, now might be the time to start paying attention as they are a sure fire way to ensure you avoid boring party embarrassment. Below, Wooshka Photobooths Melbourne lists 5 reasons why you should hire a photobooth for your next event. It’s the age of the selfie, but a photo booths takes it to an entire new level. Just hop in a booth, tap the screen and you’ll be greeted with professional quality photos that make any smartphone pics seem amateurish. The beauty of the photo booths is that most providers offer unlimited prints and pictures so you will likely get the chance to get the perfect image of yourself before the night ends. As they say “practice makes perfect”. Photobooths work extremely well at all different types of events. They are the perfect addition to any wedding, engagement party, birthday parties, corporate event or Xmas function. Over the last 5 years their popularity has risen ten fold and have almost become a must have item and form of entertainment for any type of party where the hosts want to keep their guests smiling. There’s many options and styles available to fit into whatever theme is needed from the traditional enclosed booth, where guests have a private session, to the ever growing glamorous open booth style where people can be seen posing from all angle. Some people will hire a beautiful flower wall to use as a backdrop. Have you ever been to a wedding or event where people were just sitting down on a table with not much to do? I’m sure everyone has. Photobooths act as a real people magnet and have a way of getting people up and interacting with each other. They work for all ages brackets and they give even the shyest person an easy way to interact with family and friends. The average event with a booth will yield multiple hundred photos and even though they print out instant images for people to enjoy, the computers that run the photo booths also save every image taken throughout the event. This is great for so many different reasons as party host can sit back and scroll through all the pics after the event and see how much fun their guests were having. Images can also can be used for social media sharing. I have even noticed people using them as their own professional headshots and online profile pictures + special images can even be blown up and framed/ canvased. I know i have many print strips at home from years gone bye that are a reminder of past events that i will look back on fondly for many years to come. Whilst they are always the hit of just about any party, photo booths actually are very affordable when you are comparing other forms of entertainment like live music or even DJs. Whilst they all work well together, you will find that photo booths will give you the best bang for your buck!